Our products block entry through a door in a fraction of the time it would take you to find your key and lock it manually, keeping YOU and our community safe. Block entry through a steel-framed door in a fraction of the time it would take to find your key and lock it manually. 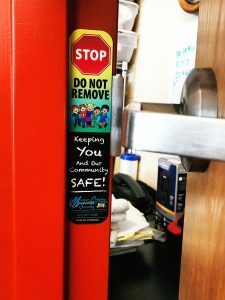 At any time, all open rooms can be quickly locked in seconds by removing the magnet and shutting the door. 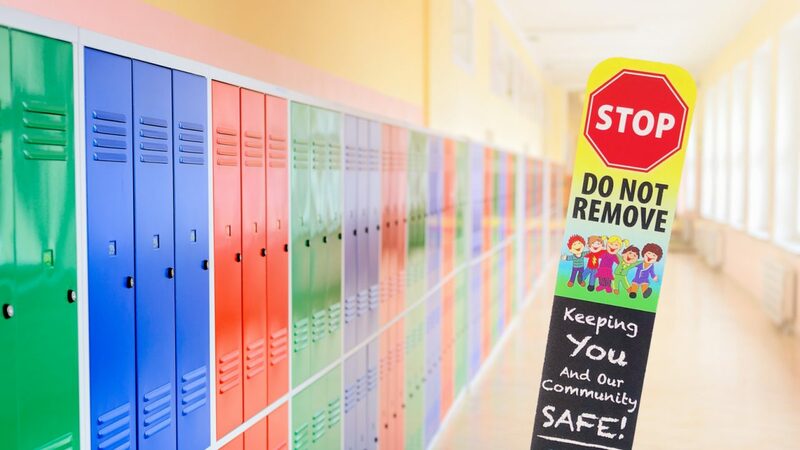 Our panic bar straps enable you to strap panic bars “open” so that doors are unlocked. Minor installation is required. 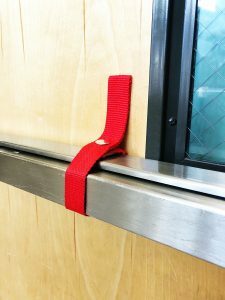 In the event of a lockdown situation, simply pull the loop to release the panic bar, instantly locking and securing the door. Need our locksmith or security services?